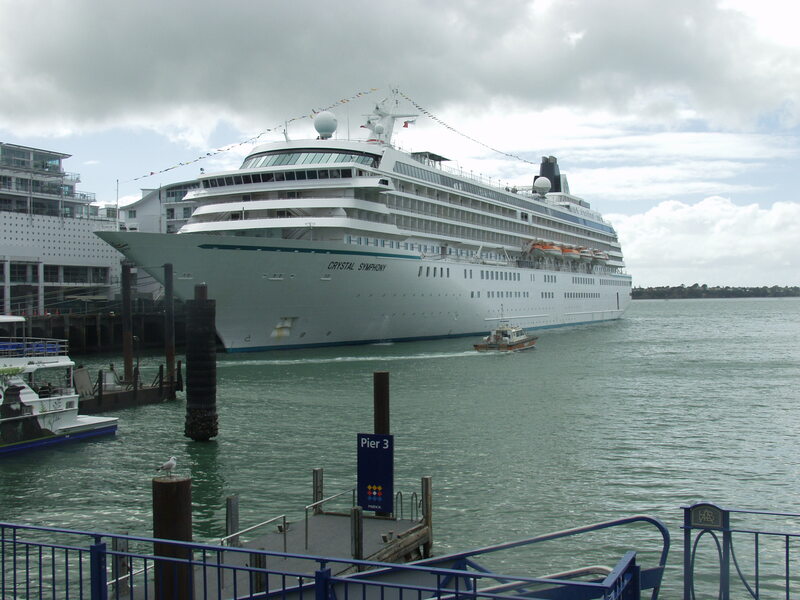 My wife and I recently spent 12 days cruising from Auckland, New Zealand to Sydney, Australia on a small ship, the Crystal Symphony. The highlight of this trip was a series of day-trip land excursions to four wine regions of New Zealand. I had one question in mind when planning for these excursions: what are small winemakers doing with grapes that aren’t Sauvignon Blanc? The question was prompted by a growing sense that the novelty of New Zealand Sauvignon Blanc is starting to wear thin. These wines are delightful and have fuelled the phenomenal growth in the New Zealand wine industry over the past 10 years. This said these wines have a characteristic grassy, herbal sameness that is predictably less interesting than it was when we first tasted Cloudy Bay S-B. Not all will agree with me on this posture but I speak for many when I think that there must be more possible than this. From 1999 to 2008 the number of New Zealand wineries grew from 334 to 585. The volume of annual production increased from 60 million litres to 205 million litres during the same period. The value of wine exported from New Zealand was NZ$125 million in 1999. In 2008 this figure had grown to NZ$800 million. No wine country in the world has experienced such dramatic growth and wine has become a major engine for the New Zealand economy growing from less than 1% to over 3% of total exports during the years 1999 – 2008. This growth is not sustainable going forward and the challenge for New Zealand producers is to demonstrate the diversity of wines that can be produced in the varied climate and terroir conditions found in this stunning country. To pursue the answer to my question I made appointments with a number of small producers before we left and arranged car rentals in each port before we arrived. Arrangements with winemakers were a challenge: we travelled in early April, the peak of the harvest in every region we visited. I was overwhelmed by the email messages I received in reply to my requests for time, tastings and tours: everyone was welcoming and apologetic for the fact they might be unable to give me all I asked for if harvest conditions called for picking when we were supposed to meet. As events unfolded we threaded the needle of harvest timing and spent time visiting some 10 properties over the four days we toured Hawkes Bay, Martinborough, Marlborough and Canterbury. At Napier, Wellington, Picton and Christchurch we were the first travellers to leave ship and at each port we quickly motored off with our GPS programmed for the destinations of the day. The conclusion reached – in answer to my question – was New Zealand winemakers are accomplishing amazing feats with Pinot Noir, Chardonnay, Riesling and Pinotage (!). That is the good news. The bad news is, except for one property, Te Whare Ra in Marlborough, the wines tasted are not available in Canada. The production volumes at properties such as Dry River (Martinborough), Unison (Hawkes Bay), Fromm (Marlborough) or Mountford (Canterbury) are simply too small to be of interest to importers who need high volume to offset the low margins of wine importing. 100% Syrah, this wine is made in an Old World style and represents a very good Cornas-like beauty. Deep purple in colour it has a nose of smoked meat, wet earth, bell pepper and toast. The palate is dry with an exceptional balance of fruit, tannins, acid and wood. This balance was a characteristic of all Unison wines and reflects the style they seek in their winemaking. Blackberry, black pepper, chocolate and delicate vanilla flavours dominate the palate. The finish is long and spicy. Needs another 2 years for the green tannins to soften. This wine will drink well to 2020.
body was full this wine was refined with plenty of red fruit and vanilla on the nose and palate. It showed medium-weight silky tannins with stony minerals and a crisp, bright mouth feel. The structure and balance of this wine was stunning. For lovers of light, velvety Central Otago Pinots this wine would make you think it had come from the Côte d’Or in Burgundy. ripe brown apple, grapefruit and light oak on a foundation of medium acidity. The finish was long and clean. This wine displayed a linear quality that comes ever so close to a Puligny-Montrachet. What a beauty! Te Whare Ra is a long-established property now operated by a young couple, Anna and Jason Flowerday, both accomplished winemakers with experience in New Zealand and Australia. Their wines are shaped by strict adherence to biodynamic principles and are characteristically delicate and elegant, across all varietals. The Gewürz is Alsatian in style reflecting the cool-climate of the Wairau Valley. It has great varietal typicity: lichee, peach, pear and ginger on the nose and palate with flinty minerals and medium acidity providing structure to complement the assertive fruit. The finish is long with lingering pear and stone fruit flavours. This wine displayed wonderful complexity and structure. Te Whare Ra wines are only available in Ontario through the Hemispheres Wine Guild: http://www.hemisphereswine.ca/. This property is located an hour north of Christchurch and the vines are situated on a hilly site reminiscent of the hills to the west of the city of Beaune in Burgundy. The Chardonnay is aged for some 16 months in medium toasted French oak and displays a Premier Cru character which is Côte de Beaune in origin. The nose is complex with peach, ripe mango, smoke and minerals present. The palate is dry with medium acidity, a full body and austere mouth feel. The palate is dominated by flavours of brown apple, pineapple, mango, earth, vanilla and stony minerals. The finish is long and full. This wine has sound structure and intense fruit expression. It will age and improve over the next 7 – 10 years. Muddy Water is a small winery located next door to Mountford. The terroir is similar to that of Mountford: west-facing slopes on clay soil with a limestone base surrounded by a cool climate. 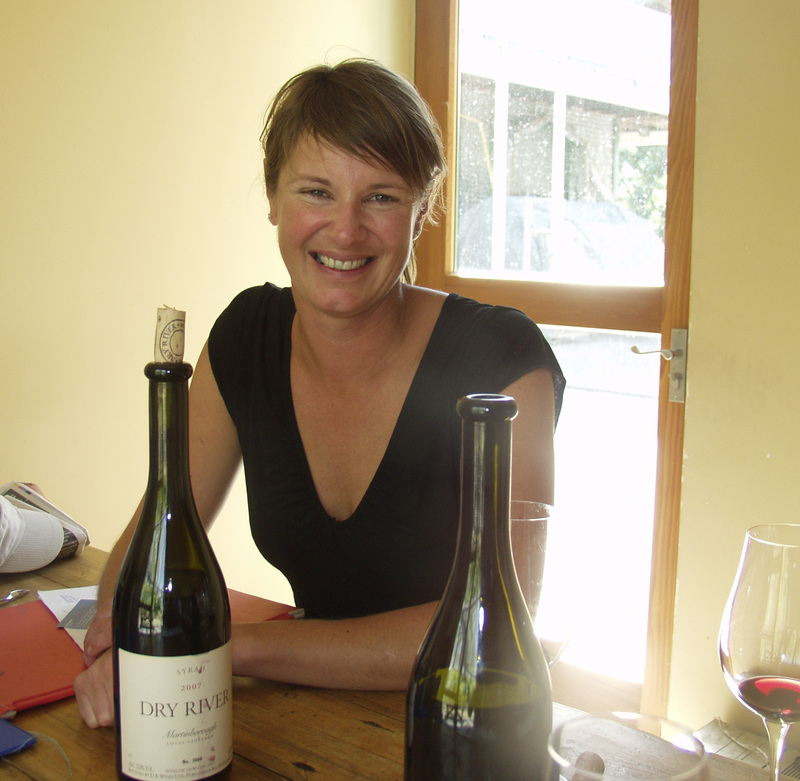 The wines of Muddy Water are made by an accomplished wine maker, Belinda Gould, who has studied both in New Zealand and in Germany at the Geissenheim school in the Rhine Valley. Belinda makes wines of assertive fruit expression with fine structure and balance. The Syrah is a lean, fresh, zesty wine that has an intense fruit-forward nose accompanied by peppermint, smoke and vanilla notes. The palate is dry with a medium-full body and medium, delicate tannins. Ripe black cherry fruit, black pepper and toast flavours dominate the palate. The finish is clean and long. For lovers of fat Aussie Shiraz you might as well look elsewhere. I was very impressed by the wines I encountered in my four-day sampler of New Zealand. Now we need someone to open the door to bring some of these beauties into Canada. These are not inexpensive wines but they are a demonstration of what we will see from this country as winemakers and grape growers spread their wings. It is evident that there is great potential beyond Sauvignon Blanc! Originally published in WVN May 29, 2010. Copyright© W. John Switzer 2003 – 2010. Sounds like you had an awesome time on your trip. Thanks for great notes! Also, just 25 minutes from Auckland city is the Kumeu region; the “Historic” wine producing region of New Zealand, where the Croatian people (who established the wine industry in New Zealand) first set-up their wineries! In particular is Nobilo’s (now Constellation Group), which is the second largest winery in New Zealand. Our parent’s used to buy sherry + port when this winery was still just a little backyard shed…oh how times have moved on! Unfortunately we didn’t visit any of the wine regions near and around Auckland. They will be part of the itinerary on our next trip – we’ll drive from the top of the North Island to the bottom of the South Island. There’s so much to see it will take three or four weeks to do the journey but it will be worth the time. Our appetite for the less visible wines and wineries of New Zealand – less visible in export markets, that is – has been whetted! Thank you for the links. We are glad that you enjoyed the wines you have tasted in New Zealand, NZ Wine does have a lot to offer! Next time you come to Waipara wine region you should try to come to the In Praise Of Riesling Event. It is biannually and is an amazing event.